Jogging through Central Park on Sunday, I see the lines forming at the Delacorte Theater for "Macbeth." A standing-room-only crowd, patiently standing in the midday sun to see Shakespeare. Google Shakespeare in the Park, and you'll see it goes on all over the country. From Seattle to St. Louis, Shakespeare is alive and well. In New York, the public theater says more than 4 million people have seen Shakespeare in Central Park for free. I've been a bunch of times, and this current Macbeth is supposed to be really good. 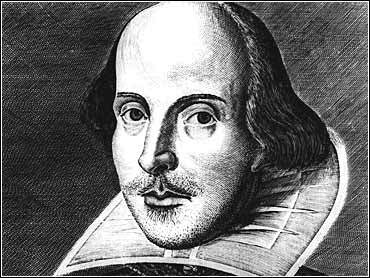 What is it about great Shakespeare that sticks with you? Hamlet, Henry, Juliet or Desdemona — when you've seen a great one, you never forget it. Lust and love. Greed and charity. Loyalty and betrayal. Shakespeare knew how to tell a story. Here we are, all these years later, loving it still. Can one desire too much of a good thing? If the answer is "Shakespeare in the Park," then the answer is no. Harry's daily commentary can be heard on manyCBS Radio News affiliates across the country.